Mistura started as an acoustic duo by Malcolm Bonnici and Antonio Olivari. It debuted in 2012 at the L-Għanja tal-Poplu festival where they won the WAFA award for Best New Talent. Since then they have morphed into a fully-fledged electric band, with Matthew Agius on bass and Mark Andrew Azzopardi on drums, and performed at a variety of venues including Għanafest, Rock the South, Kotra, the Farsons Great Beer Festival and the Evenings on Campus. 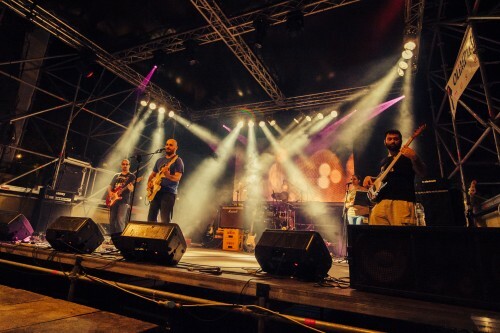 Mistura write and perform original songs exclusively in Maltese, with music that has elements of blues, rock and folk. In 2014 they released their first 16-track album called “U d-Dinja Tkompli Ddur”, which is packed with biting social commentary.